Marvel Legends X-men Caliban Wave Gambit Presale. Condition is New. Shipped with USPS First Class Package. 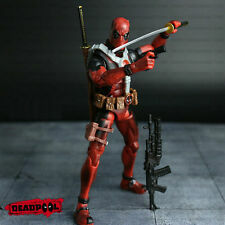 Character: Deadpool. All in new condition just without original box. Material：PVC. A Diamond Select Release! Sculpted by Gentle Giant Studios! Designed & sculpted by Gentle Giant Studios. A Diamond Select release. Toys & Collectibles. Stands 8" tall. Trending at $25.48eBay determines this price through a machine learned model of the product's sale prices within the last 90 days. Brand new! Great condition! Loose...just removed from package. BAF Apocalypse not included. Shipped USPS First Class.Tracking # provided as well. Auction is for 1 figure and is sold as is. Marvel legends Juggernaut BAF toybiz magneto Sabertooth x-men figures lot. Condition is Used. I will include the stand. Brand new! Great condition. 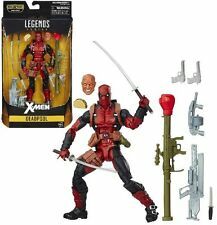 Loose...Marvel Legends Apocalypse BAF not included. Just removed from package. Tracking # provided as well. Marvel Legends Bishop NO Sauron BaF NEW!! New ListingMarvel Legends X-Men Marvel’s Jubilee Figure Caliban BAF Wave HTF! In hand! For Sale is a Marvel Legends Omega Red 6 inch Action Figure by Hasbro. Figure is new, just removed from the package. No BAF piece Included. Free shipping by USPS First Class Mail. Payment is by PayPal Only. All Sales are Final....NO RETURNS. 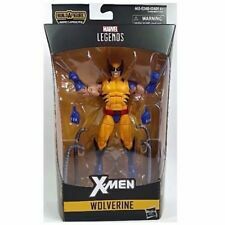 Astonishing X-Men Beast Marvel Legends Action Figure Nemesis Wave Hasbro Loose. Condition is Used. Shipped with USPS First Class Mail. Great condition! Just removed from package. Loose...Sauron BAF not included. Please refer to pic for further details. Shipped USPS First Class. Tracking # provided as well. This started as an Avengers Titan Hero Series Ironman. Head was sculpted, and painted as a SENTINEL. This is for the Sentinel figure only. 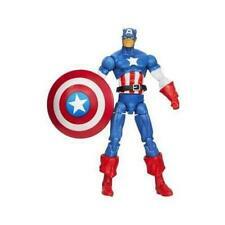 Other figure to show how he scales with 6" Marvel Legends. Item will be packed with care before shipped. Will ship out day after payment is received. What is shown in the photos is what you get! Still a very nice display piece for a collector! NEVER BEEN OPENED. TO THE BEST OF MY KNOWLEDGE THE ITEM(S) IS IN THE CONDITION I SPECIFY IT TO BE. HOVER CHAIR Marvel Legends -No Professor X - Chair Only X-Men Rider -SHIPS FAST! • Never used or displayed - fresh from new box. Background objects and dioramas are not included. 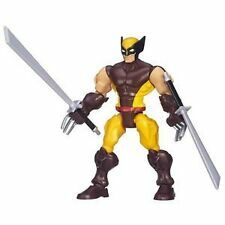 Marvel Legends X-Men ROGUE Build A Figure Juggernaut . Condition is MIB. Rare!!! Have three-all MIB. Shipped with USPS Priority Shipping. • Includes Professor X and his cerebro accessories shown; does NOT include Hover Chair or any BAF pieces. 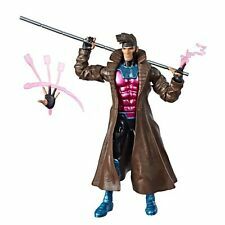 Gambit Marvel Legends Series IV Action Figure. Comes with trench coat but sleeves are ripped slightly. Condition is Used. Shipped with USPS First Class Package (2 to 3 business days). What is shown in the photos is what you get! Very nice display piece for a collector! NEVER BEEN OPENED. TO THE BEST OF MY KNOWLEDGE THE ITEM(S) IS IN THE CONDITION I SPECIFY IT TO BE. Marvel Legends Avalanche X-Men Classics Toy Biz Brotherhood of evil. Condition is Used. Shipped with USPS First Class Package. Up for sale I have a Marvel Legends Sauron BAF Build A Figure 100% Complete Condition is used, but in excellent condition. Shipped with USPS First Class Package. Thanks for looking. This a rad Firge figure from the new Caliban wave. He has been opened but not displayed or played with other than for photos and to verify all joints are good. No box or BAF piece included. Take a look at photos for paint apps and condition. What you see is what you get. I ship usps fully insured and I pack very well so rest assured your item will arrive as described. Check my other items for cool stuff at great prices. Thanks! 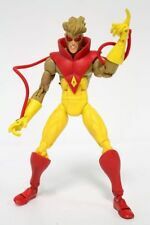 Marvel Legends X-Men Marvel’s Jubilee Figure Caliban BAF Wave HTF! In hand!